The National Highway Traffic Safety Administration reports a 10.4 percent increase in the number of traffic fatalities on U.S. roadways for the first six months of 2016. NHTSA reports 17,775 traffic fatalities for the first half of 2016, anticipating even more for the second half of the year due to seasonal and holiday travel. The surge in road deaths for the first part of 2016 came on the heels of a 7.2 percent increase in 2015 for a total of 35,092 fatalities- the largest full-year increase since 1966. After years of declining road death numbers, NHTSA calls this level of surge a “crisis” situation, and the agency’s administrator Mark Rosekind has called for quick action to stop the rising trend. 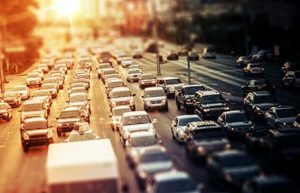 According to the U.S. Transportation Department, vehicle miles driven increased 3.3 percent for the first six months of 2016, while the NHTSA reports the death rate for the same period increased to its highest level since 2009. In 2015, the total number of traffic crashes increased 4 percent to 6.3 million, with injuries caused by those accidents increasing 4.5 percent to 2.44 million. Pedestrian, bicycle, and motorcycle deaths represented a large portion of the increase in fatalities, according to NHTSA. Policymakers such as Rosekind and others, proposed a goal of “zero road deaths” within 30 years. Many American cities have already embraced some kind of “Vision Zero” policy similar to the one Sweden adopted several years ago. Since its inception in 1997, Sweden’s “Vision Zero” policy has helped reduce the number of road deaths dramatically. NHTSA plans to collaborate with other safety organizations and federal agencies to outline their vision and design a functional plan for eliminating traffic fatalities through road design, speed limits, and other factors. Safety officials acknowledge that autonomous vehicles will be integral for a successful plan, with 94 percent of all crashes being contributed to human error. In terms of societal harm and economic loss in the United States, traffic accidents cost $863 billion in 2014, according to NHTSA. Worldwide, the United Nations reports over 1.25 million deaths caused by traffic accidents that injure an additional 50 million people. The U.N. General Assembly has backed an initiative to create a Road Safety Trust Fund. According to the National Safety Council, as many as 40,000 people died in traffic accidents on U.S. roadways in 2016. If you or someone you love was injured in a car accident in Colorado Springs, you need an experienced and skilled Colorado Springs car accident attorney in your corner from the very start. Contact the experienced Colorado Springs car accident attorneys at the Green Law Firm today to schedule a no-obligation consultation and discuss your case. Call us today at 1-719-694-8515.